Taxes 2014 : Who Is Entitled To Use The Tax Exemption on Children After a Divorce? As we now approach the deadline for filing our 2014 federal income tax return, many divorced parents are asking this question, “Which parent may legally claim their children on their tax return”? 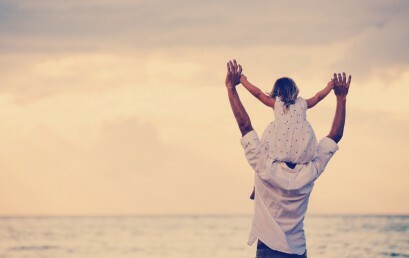 This question has become complicated with the rise in fathers’ rights, expansion in non-custodial parents visitation periods, and advance parenting schedules allowing children to spend quality if not equal time with both parents throughout the year. In the past the Internal Revenue Code provided that the custodial parent was allowed to claim the minor children on his/her federal income tax return. Mom was usually the custodial parent and Dad usually had the children every other weekend. The Internal Revenue Code states that the parent with whom the child lived with for the greater number of nights during the year is entitled to claim the dependency exemption. If during or following a divorce in final judgment, the two divorcing parents agree that one parent shall claim the child as a dependent in odd numbered years and the other parent in even numbered years, or if the divorcing parents have more than one child, one parent shall claim some children, while the other parent shall claim the other children, this agreement in your final divorce decree will be honored by the IRS. If your divorce was final before 2008, just attach the final divorce decree to your tax return. If your divorce was final after 2008, your ex-spouse must fill out IRS form 8332 which provides the name of your children that you can claim on your federal income tax return. I you are divorced in 2014 and have questions please contact your tax adviser or go to the website http://www.irs.gov/Forms-&-Pubs for more information.